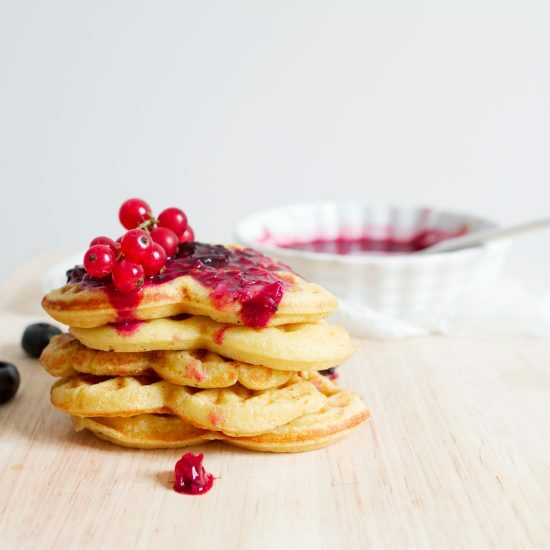 Waffles International - Waffles Plus International Inc.
Have a favourite toppings mind? We carry the most popular toppings! Don't know how to make the perfect Pancakes & Waffles? Take a look at our various recipes! Delicious pancakes everytime. Take a look at our available flavours today! 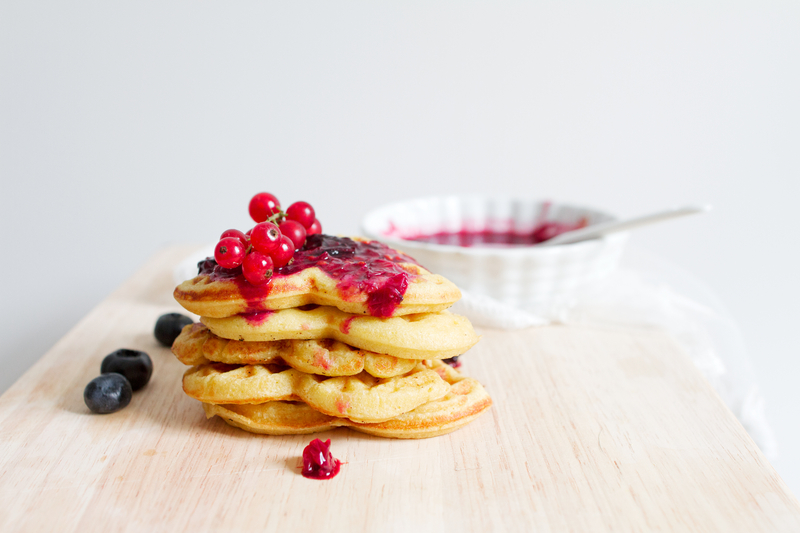 We provide great tasting Pancake & Waffle Flour with a variety of different flavours. These are just some of the best mixes we carry! With the perfect blend of real malt and vanilla, our Original Waffle & Pancake Mix continues that tradition today with taste and texture! 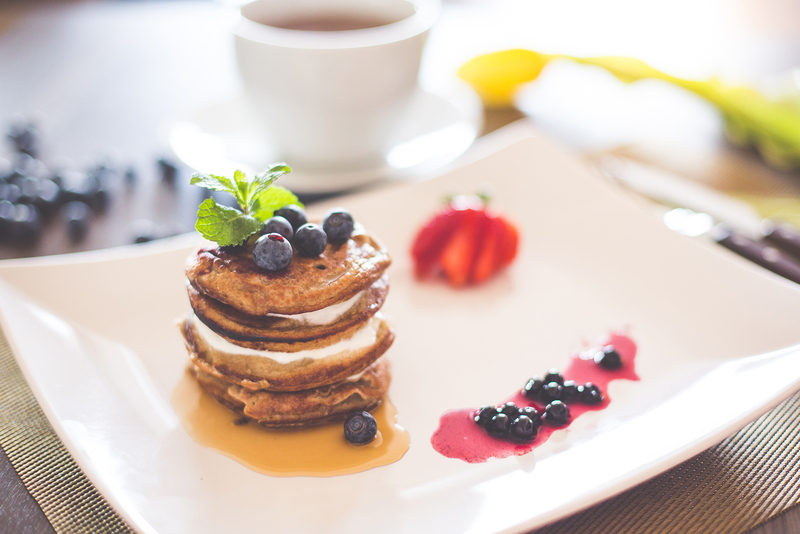 Enjoy your favourite Waffle & Pancake Mix with the healthier, Multi-Grain Mix! 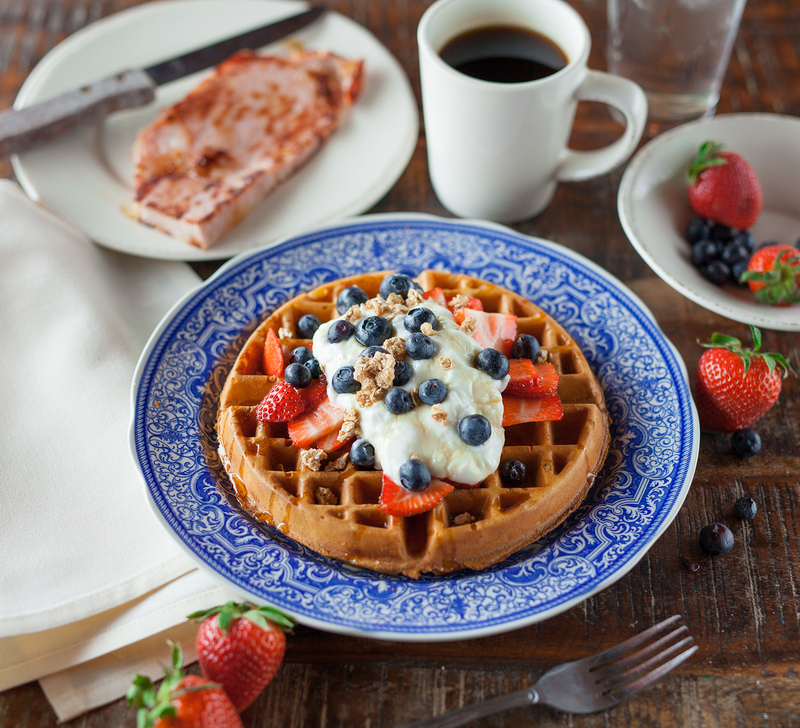 Taste just as good as our Original Waffle & Pancake Mix. Enjoy our Original Pancake and Waffle Mix taste but in a cone! The Waffle Cone Mix preserves our great tasting Original Mix in cone form. 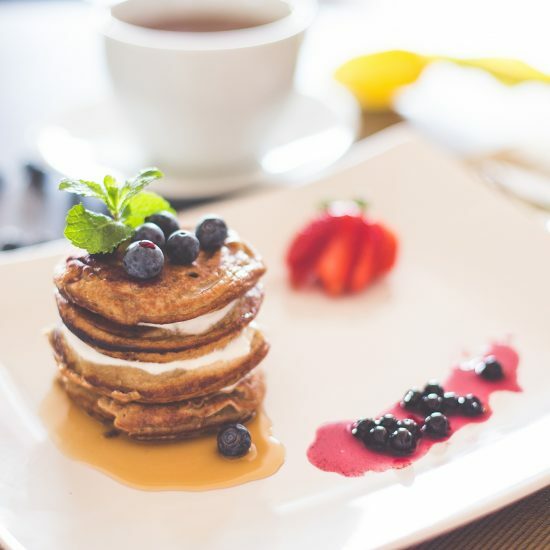 Filled with real apple pieces and cinnamon, these pancakes and waffles are perfect when topped with cream, nuts and fresh fruits. Try them with vanilla ice cream for a unique dessert. 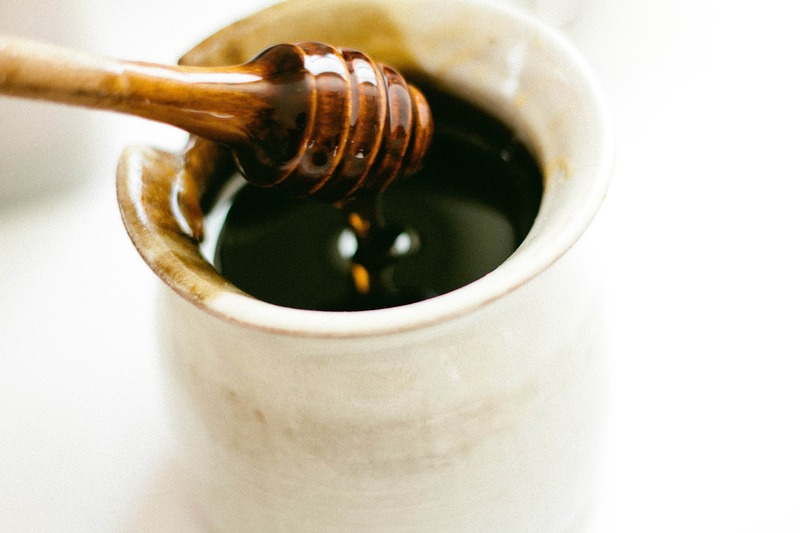 The sweetness of maple syrup with a touch of cinnamon spice. 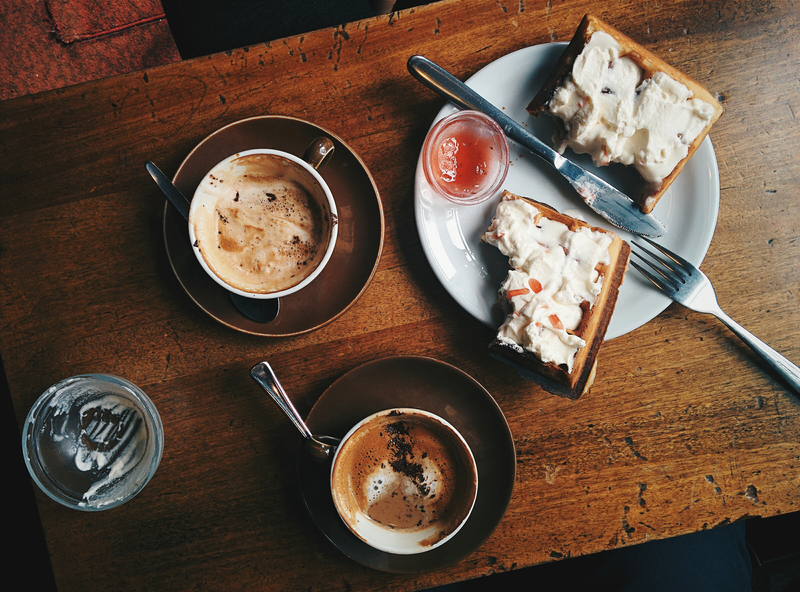 The perfect combination for a tasty treat. 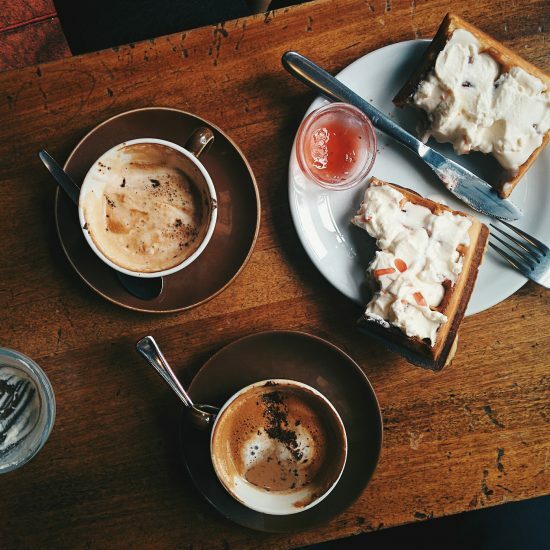 Top it off with some of our toppings and you created the best dessert! Love the taste of berries with your Waffles and Pancakes, but don't like the 'fake taste' that comes with some mixes? 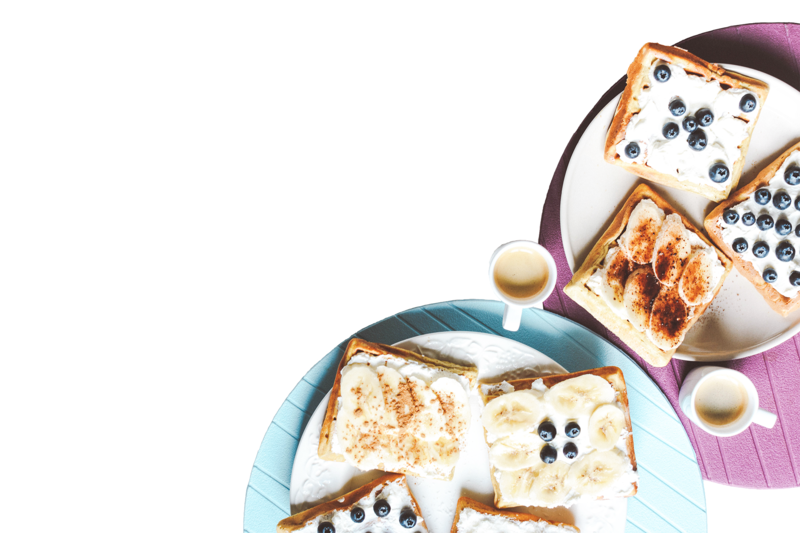 Try our Blueberry Waffle and Pancake Mix for a burst of blueberry flavour that will make you smile! 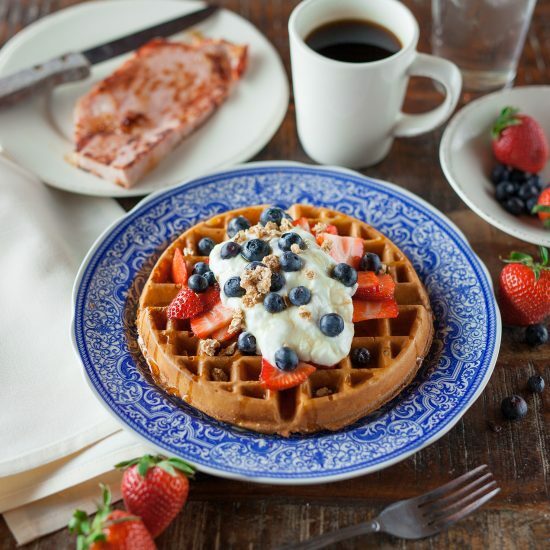 Have a taste of fresh strawberries in your favourite waffle! Top it off with some whip cream and you get a perfectly satisfying strawberry shortcake taste. 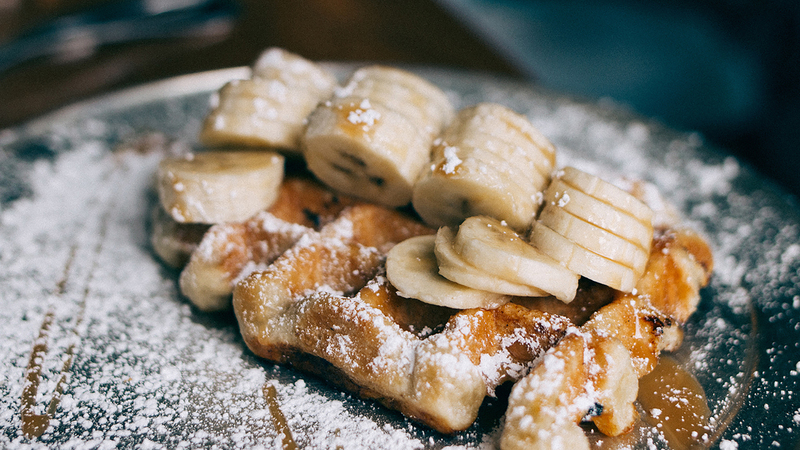 The same banana-nut flavour you love in pancakes bakes into delicious waffles. 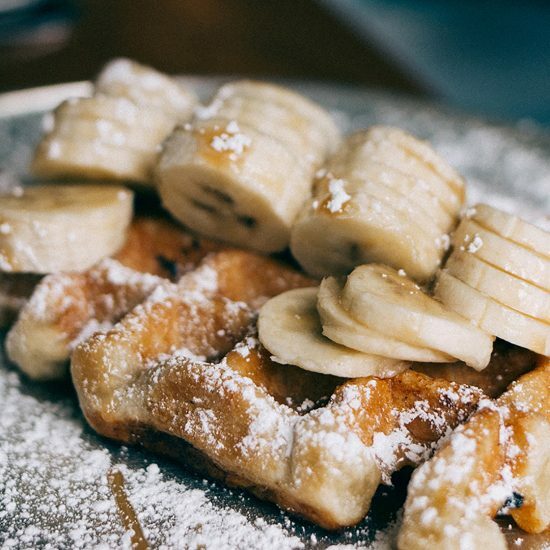 Top these banana waffles with hot caramel sauce and a dollop of whipped cream! Our gourmet Pumpkin Waffle and Pancake Mix is back! Made with REAL pumpkin and savoury spices, it's the perfect way to make hot, fluffy waffles and pancakes! "Best tasting! The malted flavour is just right. We give it for gifts at Christmas. Love it with fresh berries." "The best Belgian waffle mix period. My kids wake me up all the time asking for these waffles. Just tried the apple cinnamon. Yummy! Don't waste your time with anything else." Explore our vast selection of flavours to suit your tastebuds. We offer a great selection of both toppings and flavour mixes to allow you to mix and match your own style! Fred S. Carbon founder of F.S. 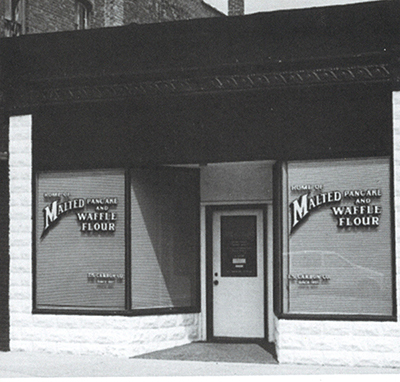 Carbon Company in Buchanan, MI begins making the World's First Improved Flour-Golden Malted Pancake Flour. This was the first flour blended with other products such as Malt, Sugar, Flavourings, etc. and thus was awarded a patent on the process. 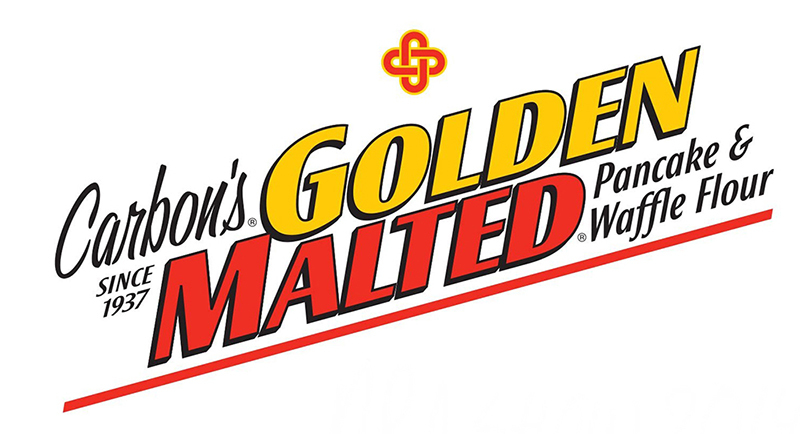 Golden Malted was then registered as a trademark in the late 1930's. 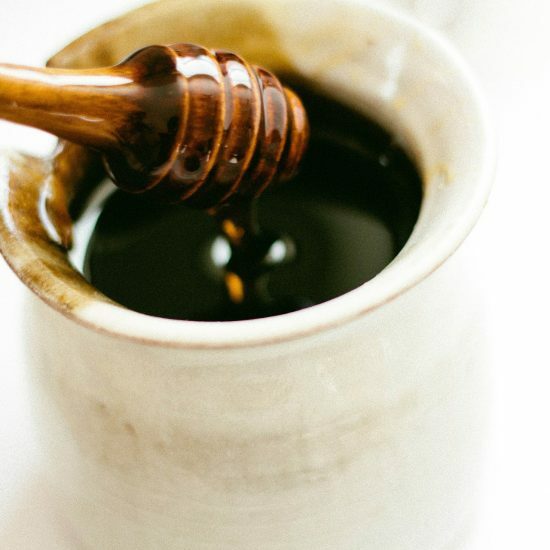 During the World War II, sugar was rationed, but Carbon's as a business was allotted more sugar than the average person to produce syrups. Fred S. Carbon attends National Restaurant Association (NRA) Show in Chicago, IL. Carbon's is the second oldest exhibitor next to Coca-Cola and still exhibits at the show today. 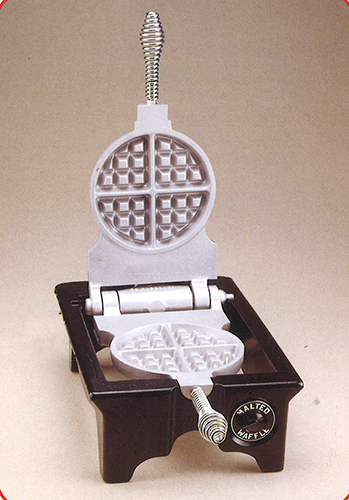 Fred S. Carbon began manufacturing his own round Belgian waffle bakers. F.S. Carbon filed for US Patent on round Rugged 1 Waffle Iron. This was also the time when Belgian Waffles were introduced to the world. 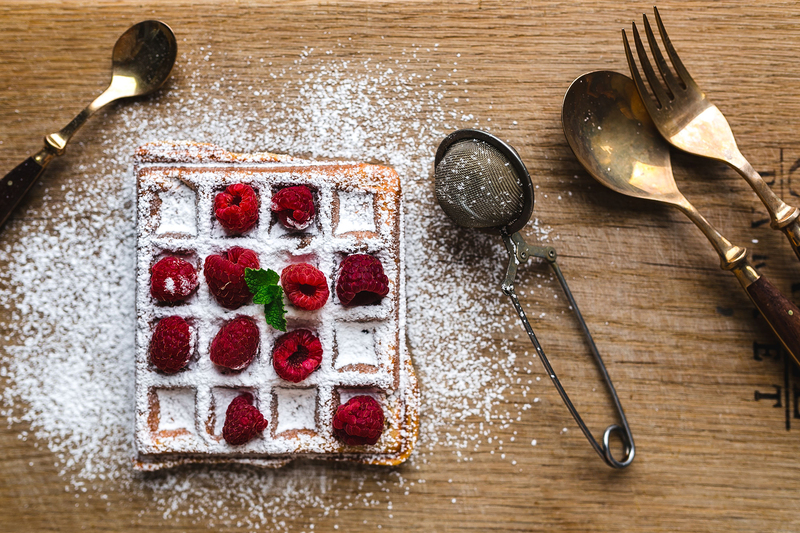 Maurice Vermersch is the person credited with introducing the Belgian Waffle. 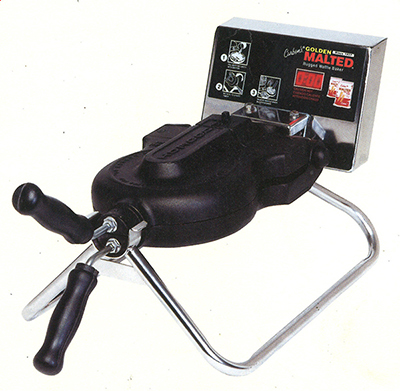 Don Carbon decides to loan waffle irons to commercial accounts at no cost providing that they use Carbon's flour only. 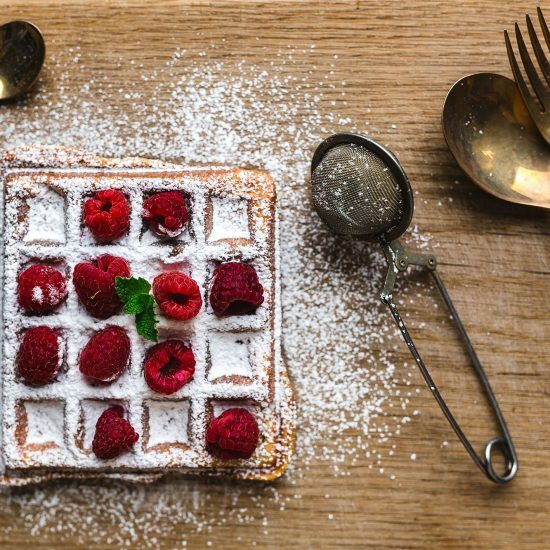 This innovative marketing strategy is what drive the Belgian Waffle Market to its popularity today. During Don's tenure as President, Carbon's contracted with major national chains such as Denny's Restaurant's, Hilton Hotels, Marriott Hotels, Elias Brothers Restaurants and Perkins Restaurants. 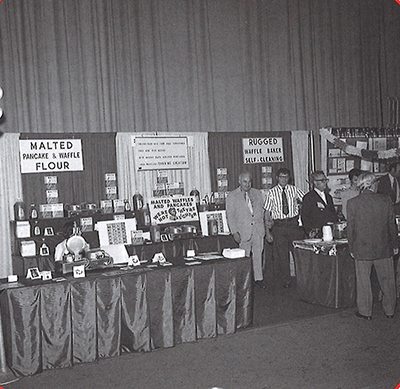 In 1998, Don Carbon retires and sells the business to five of his largest distributors. New Carbon Company is formed. New Carbon Company develops new RT equipment featuring an ``auto-start`` digital count-down timer. This new innovation featured a lightweight stainless steel frame for easy cleaning and mobility. 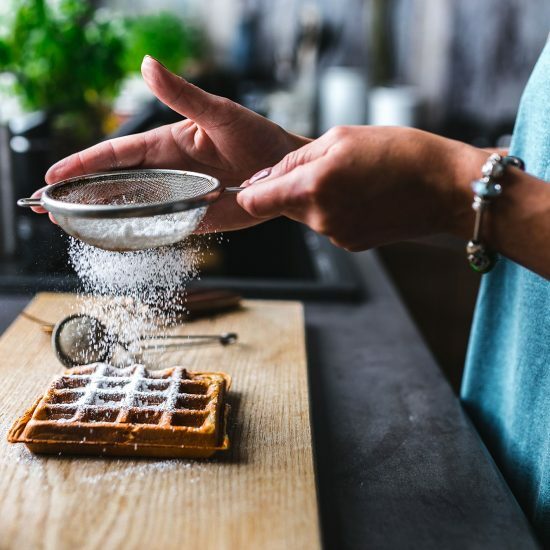 New Carbon Company develops its ``self-service`` waffle concept for use in Limited Service Hotels featuring continental breakfast. New Carbon Company develops pop-out plate technology for its state of the art waffle bakers. 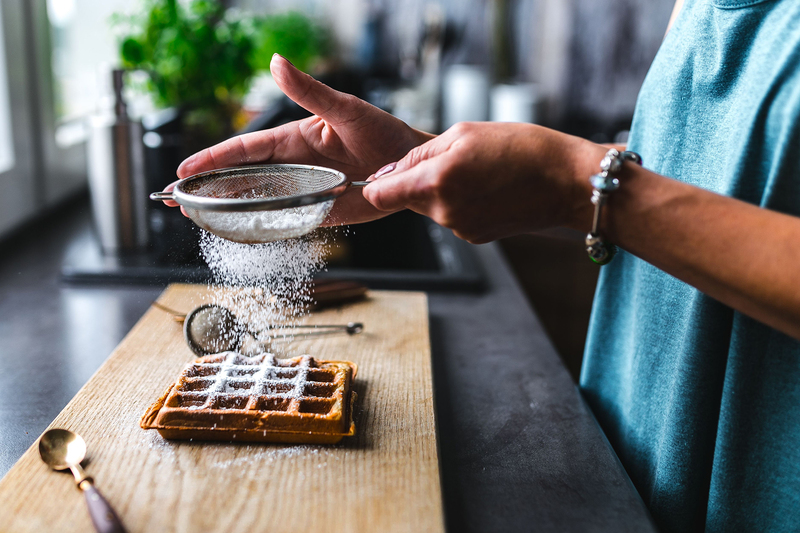 Carbon's waffle mix and bakers featured attractions on television shows, Emeril Live, The NBC today Show, NBC's ``Late Night`` with Conan O'Brien. New Carbon Company ``Support the Troops`` by sending waffle bakers and donating mix to the men and women of the military stationed in Afghanistan.